Well, here we are, Samsung's first stab at its own OS: the Samsung Wave S8500. On this quick review, let's see if Samsung got it right the first time or whether it's time to go back to the drawing board. No doubt about it, in terms of design, Samsung did a good job. 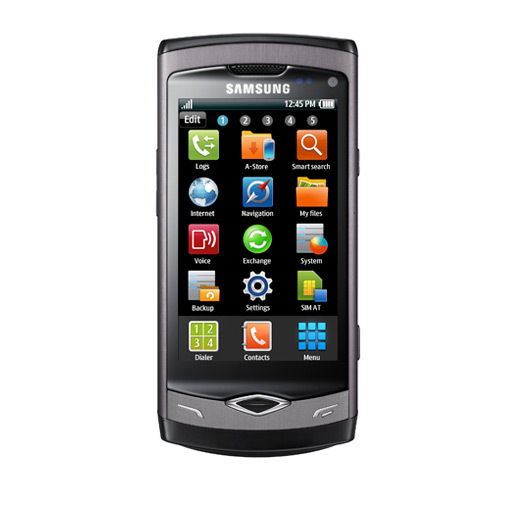 The Samsung Wave S8500 exudes sophistication with its slim profile and metallic finish. Holding the phone in your hand, you wouldn't want to put it down, the phone just draws you because of its elegant style. One of the new design features that I like on the Wave is the sliding microUSB cover. On previous Samsung phones, its an annoying plastic cover that protrudes whenever you forget to close it. I hope this is one design feature that carries over on future Samsung phones. The 3.3 inch Super AMOLED screen is very vibrant. Too bad, I'm only able to review this inside a coffee shop last night so I wasn't able to test sunlight legibility. The Samsung Wave S8500 has Samsung Bada OS. If you're already a Samsung user, there's not much difference here, the TouchWiz UI is very familiar except for some new widgets. Scrolling through the homescreens is fast and responsive. Samsung's Bada OS copied Android's drop down notification menu which is great but then it's not as smooth as on the Android OS. Another interesting feature that the Samsung Wave took from Android phones is the social network integration in the contacts. You can link your contacts to your Facebook or Twitter friends, a good feature if you're into social networking. One feature that is lacking is smart dialing. If Samsung is intent on making their Bada OS a smartphone OS, they should definitely think of adding smart dialing. The call feature is okay. You can hear the person on the other end of the line clearly although I wasn't able to test it in a noisy environment. The keyboard on the Samsung S8500 is pretty disappointing. It's a standard QWERTY keyboard without any symbols on top so you have to press the symbol button in you want to input numbers and symbols. A simple press and hold would've been nice just like the keyboard on HTC's latest android handsets like the Legend and Desire. 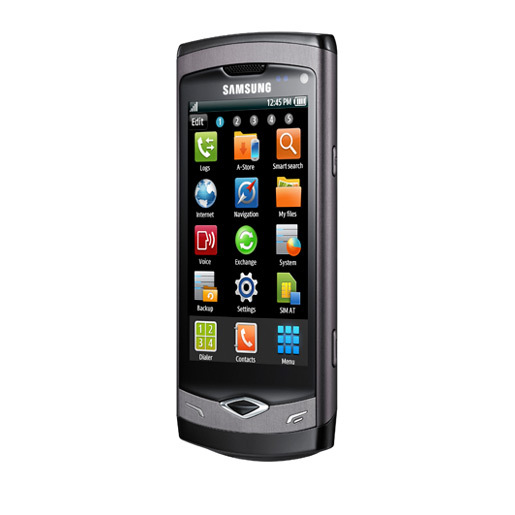 With a Super AMOLED screen, the Samsung Wave should be a very good multimedia phone and it is. The music player has a good graphics interface and there are equalizers and SRS Surround sound as well. Audio quality is pretty good and watching videos is a joy on the Super AMOLED screen. Typical of Samsung to include DivX and Xvid compatibility. I wasn't able to bring my sample DivX videos so I don't know how big a DivX file the Samsung Wave could handle. The 5 megapixel camera is not a disappointment. If anything, Samsung has already proven that they can make decent camera phones. Too bad I wasn't able to download any sample shots, same goes for sample video. I expected a lot more out of the Samsung Wave's web browser. If the Bada OS is supposed to compete with current smartphones, Samsung should have put a little more effort on their browser. I guess I'm just used to the browser on Android handsets that I can't help comparing. There's no flash support and every website that you click via Google search is optimized for mobile which makes browsing non-intuitive and downright annoying. The browser can't compete with iPhones and Desires but I guess it can serve your light web browsing. I'm a bit disappointed with Samsung's first OS. Sure, I mean, their app store is not yet fully functional but I expected the OS to be more refined especially the browser. I couldn't feel that I'm working with a 1GHz processor. Maybe TouchWiz is taking up more resources than usual but I do hope Samsung would refine some of the bugs with future OS updates, that is, if they're planning on update it. Overall, the Samsung Wave feels like a glorified feature phone and not a smartphone with its own OS. But then again, I'm sure we'll see more refinements in the future. After all, Samsung already invested a lot on Bada so its highly unlikely that they'll just leave it to rot. what is this? another BIAS review. Now a review bias to Andriod. Then This would only mean Samsung is doing something right and has released a competative phone that Adnriod and Iphone users must come out and strike the phone down to try and keep users from buying it. So the Samsung wave mus be a great phone. Can't wait to use it and see for myself instead of reading this BIAS so called "Reviews" Shame on these people. what all ppl become reviewers these days !! browser has flash, just go to browser menu n enable in goddamnit !! this is a bad review,and the information about the browser are wrong. 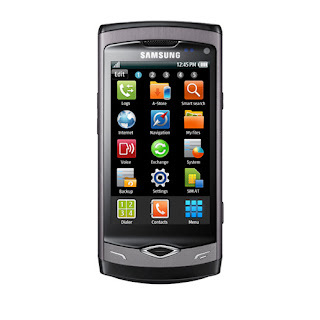 Samsung Wave S8500 is kinda sophisticated device with the amazing design and features.